Back in Week 15, the night before a home game against the Bengals, Minnesota Vikings receiver Adam Thielen was chosen to lead the team’s chapel service in prayer. He did so without hesitation, simply sharing what God had put on his heart. He admits that in the past he would have been more nervous. But in his current season of life, the 27-year-old Thielen has never been more comfortable with how he fits into this team, or with himself. He’s enjoyed a Hollywood-worthy ascension to stardom in the NFL — from a Northern Minnesota high school, to Division II Minnesota State, to the Minnesota Vikings practice squad, to his first Pro Bowl this season — and he’s loving life off the field with a devoted wife and adorable 1-year-old son. Caitlin and Asher drive Adam to grow in his game and his walk with Jesus. The journey to arrive here, however, wasn’t as easy as, say, a stroll around Lake Calhoun. No one expected Thielen to make it to the NFL, let alone the Pro Bowl. But faith in himself, trust in the Lord and thousands of hours of hard work have molded Thielen into one of Minnesota’s greatest athletes. His tale is the stuff of Minnesota legend. A four-sport star at Detroit Lakes High School (200 miles northwest of Minneapolis), Thielen felt he could go on to play college ball, either basketball or football. But most colleges didn’t feel the same way. His only scholarship offer came from Minnesota State University in Mankato (80 miles southwest of Minneapolis), and totaled only $500 for football. Deemed too small to play as a freshman, Thielen was given a redshirt and ordered to pack on some pounds. Four years later he became the squad’s best receiver and a first-team all-conference selection. But that wasn’t good enough for an NFL Combine invite. Instead, he paid $200 to participate in a regional combine in Chicago. A strong showing there got him a spot at a super regional combine in Dallas. When he clocked a 4.45-second time in the 40-yard dash, heads turned. That earned him a tryout at a Vikings rookie minicamp. Thielen’s speed and hands opened more eyes with the Vikings, who soon invited him to training camp ahead of the 2013 season. 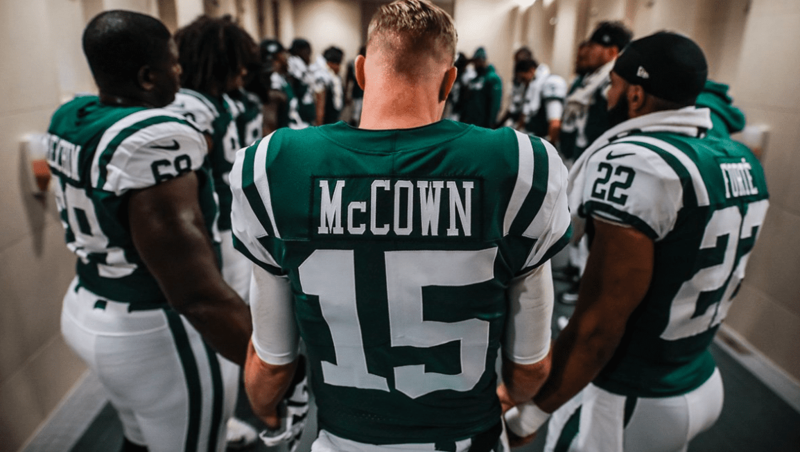 He got cut at the end of the preseason, but signed the next day to the practice squad, where he remained the rest of the season. 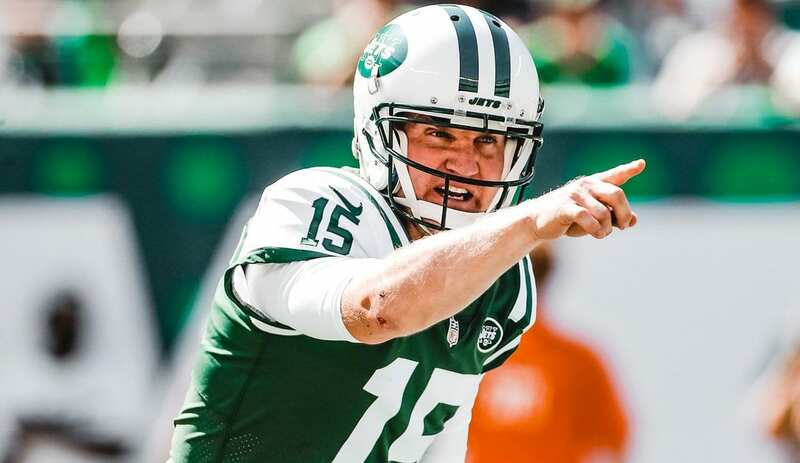 His NFL debut came in Week 1 of 2014, his first catch in Week 5, and his first touchdown in Week 13, when he blocked a punt and scooped up the loose ball for a score. The year ended with him on the All-Pro team as a special teams stud. 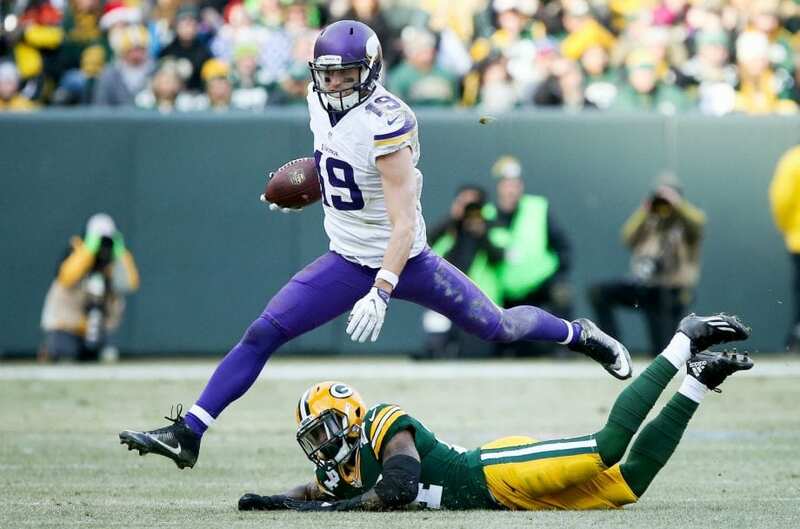 Thielen was named the Vikings’ Special Teams Player of the Year in 2015, when he also saw a bit more action at receiver. His role expanded exponentially in 2016, as he started 10 games and caught 69 balls for 967 yards and five touchdowns. The numbers rose again in 2017, with 91 catches, 1,276 yards and four touchdowns. 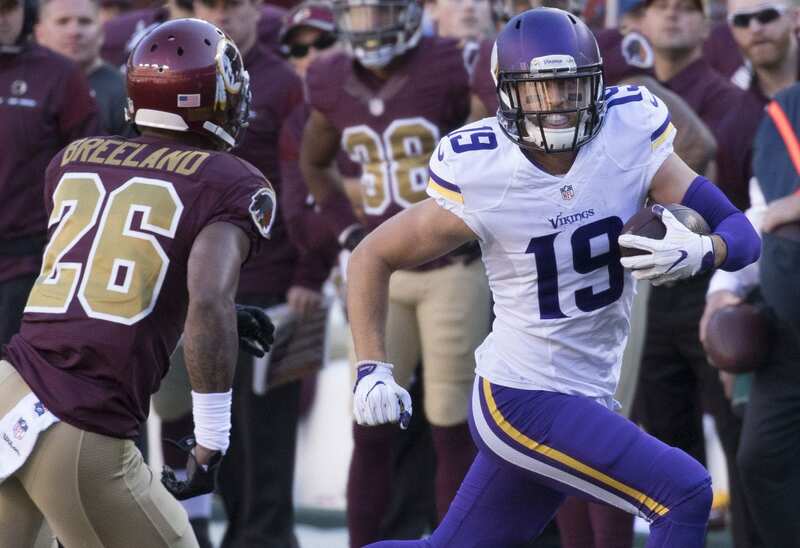 Raised in the Catholic church, Thielen attended a Catholic elementary school and was a regular at Wednesday and Sunday mass. He always believed in God and tried to be the best person he could be, but says he started questioning things in college. “I didn’t really know where my faith was at. I just kind of tried to be a good person, but I wasn’t necessarily being the best man of God. A couple years into college I just kind of had a moment. I was like, ‘I need to make a change. There’s something missing in my life.’ And that was when I started to go to the team Bible study,” he says. 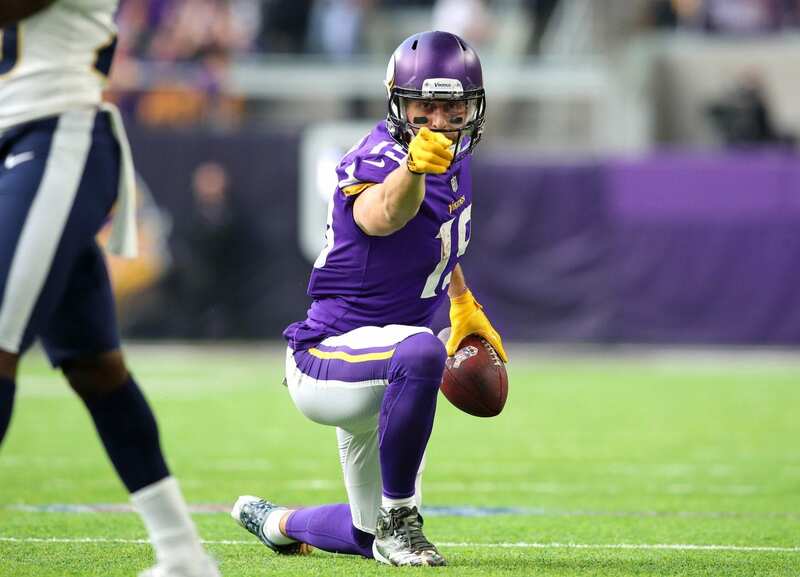 The biggest lesson Thielen’s learned from his walk with God has been taking life one day at a time. He simply focuses on being the best man of God, husband, father and football player for that day. He doesn’t look too far ahead.